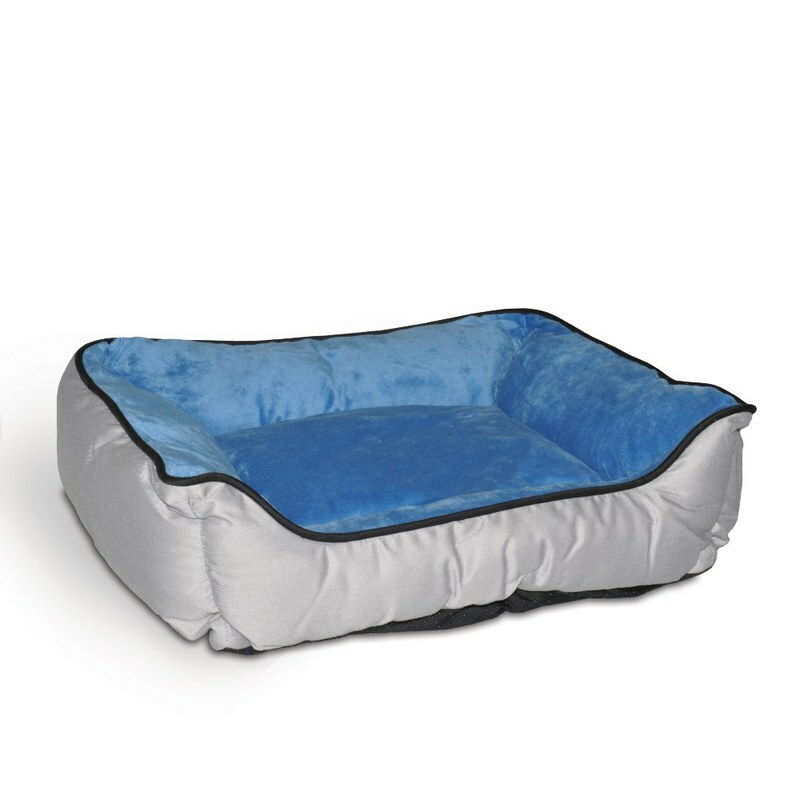 K&H Pet Products Lounge Sleeper Self-Warming Pet Bed Gray / Blue 16" x 20" x 6"
This self-warming bed in available in 2 color combinations. 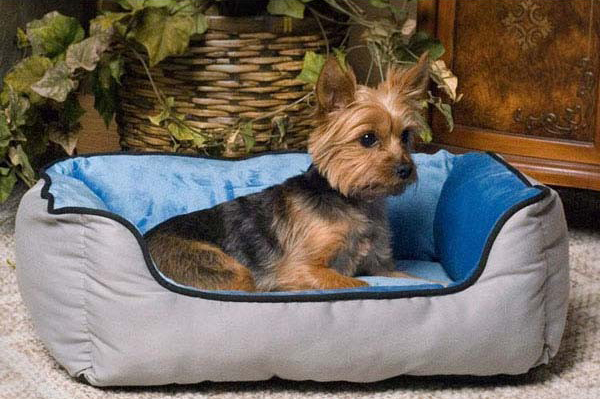 The outside of the bed is in poly/cotton and the inside is lined in soft microfleece. The pillow has a layer of metalized insulation that radiates warmth generated from the pets own body heat. Completely machine washable and filled with premium polyfil made from recycled plastic bottles. The bottom of the bed has a layer of "stay put" non-slip fabric for stability. Sleeping Dimensions: 10" x 11.5"
Dimensions: 16" x 20" x 6"